Functionary, the organisation structure of NACTE comprises of the Council, Subject Boards and Committees. The Council is the highest decision-making organ. It is responsible for overseeing the operations and activities of NACTE in order to ensure that established objectives are realised. 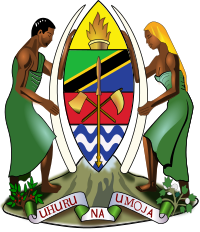 The Council comprises of the Chairperson, who is appointed by the President of the United Republic of Tanzania, and nine other members who are appointed by the Minister for Education, Science and Technology. The Council of National Council for Technical Education consists of eight (8) Councilors, apart from the Executive Secretary; no other member holds executive positions in the Council. The Council is the overall policy making organ of the National Council for Technical Education and ensures that all planned activities are implemented as planned. The Council is required by law to meet at least four times a year. The management of the daily business is the responsibility of the Secretariat headed by the Executive Secretary. The Council is committed to the principles of effective corporate governance. Councilors also recognize the importance of integrity, transparency and accountability. During the year the Governing Council of National Council for Technical Education has the following Sub-Committees to ensure a high standard of corporate governance throughout the Council. The current Council was reconstituted in September, 2017 and the tenure of the Council members is three (3) years and any member may be re-appointed. Copyright © 2007 - 2019 The National Council for Technical Education (NACTE). All Rights Reserved.